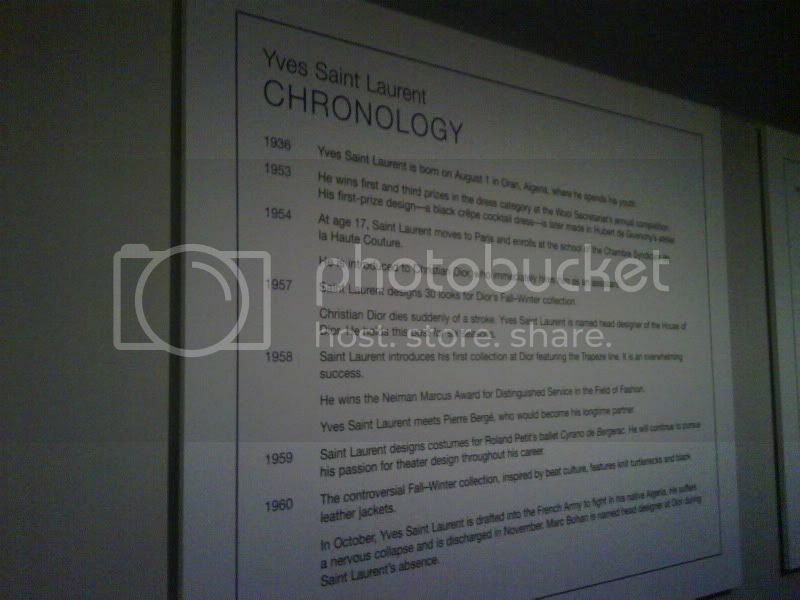 Checked out the new YSL exhibit at the newly renovated De Young Museum. 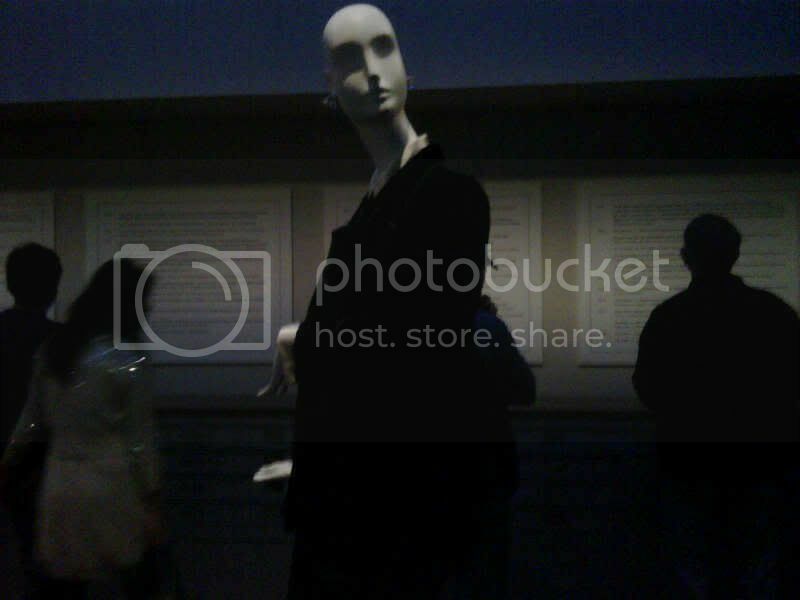 The exhibit is under strict and tight security so cameras of any sort are not allowed, but you know I had to snap a few flix for the blogpiece doe! This was a questionnaire St. Laurent filled out and his answers were quite intriguing and questionable! One question: "What is your idea of happiness? Sleeping with the people I love." The exhibit was dope and there is alot to see; They break down the floor by theme or year, and even give some info about who the piece was specially made for. His work is breathtaking in person and learning some history about each doesn't hurt either! If you got the time, check it out! It'll be available til April!